Technology offers businesses immense benefits across every aspect of operations and management, but it comes with its own set of hurdles, hassles, and headaches to overcome. If your company hasn’t already carefully considered these four issues and developed comprehensive solutions to minimize risk, you may be sitting on a ticking IT time bomb. A leak may not seem like a very significant thing if your company isn’t dealing with highly personal data, but any leak of customer or employee data offers very real consequences. At the absolute minimum, you risk a loss of customer trust, employee morale, or investor confidence. You may also be liable for what happens with the leaked data. Because of the importance of IT solutions to modern business, IT problems can shut down your entire company to disastrous ends. An effective, proactive IT team can identify potential downtime before the root problem spirals out of control, keeping your company productive and safe. This ties in closely to downtime, as lost data often means lost effort—even if you manage to get your systems back online and functioning immediately. Modern cloud-based data storage and disaster recovery solutions can help a company minimize the loss from even the worst disasters; it’s just a matter of finding and maintaining a solution that meets your needs, budget, and security standards. 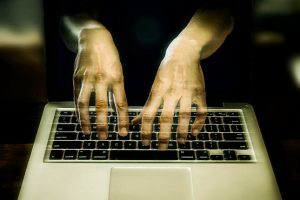 You may think that your company doesn’t have anything worth hacking, but modern ransomware can take your entire company hostage without warning. If your systems become infected with ransomware or comparably severe viruses and malware, your options can quickly narrow down to paying a ransom or eating a total loss of your systems—unless you have effective disaster recovery solutions in place. These aren’t the only problems a company may encounter with their IT, but they encompass most of the biggest threats. Take the time to put together robust IT solutions with effective tech support and cybersecurity teams, and you’ll save your company time, money, and resources for years to come. If you’d like to learn more, contact SJP Network Solutions today to inquire.